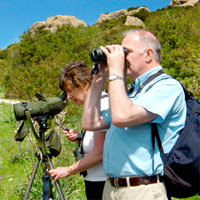 During your stay in our holiday cottages, there are varied activities to keep you occupied. We arrange guided tours every Saturday. Meet at the front gate of "The Poplars" Canobla Ave, Glen Davis. Note: Summer - Dec 1 to March 30 tours will be from 5-7pm instead of 2pm. Price: The tour costs $15 pp, ($8 for children under 12 yrs) (cash only- if you can bring the exact change that is always helpful!) and takes approx 2 hrs - its a walking tour, so dress for the weather, wear covered shoes, and bring some water. Sometimes private tours are available by arrangement, but they are more expensive.